This article series shows how to get started using modern business logic tooling. These updates start with moving from JBoss BPM to Red Hat Decision Manager and from JBoss BPM Suite to Red Hat Process Automation Manager. The first lab update showed how to install Red Hat Decision Manager on your laptop. This article highlights the second lab update for Red Hat Process Automation Manager, which shows how to create a new project. Red Hat Summit 2019 is rocking Boston, MA, May 7-9 in the Boston Convention and Exhibition Center. This event offers everything you need to know about the current state of open source, enterprise-ready software. You’ll find customers talking about leveraging open source in their solutions, and you’ll meet the creators of open source technologies and get to experience their hands-on labs. The following labs can be found in the session catalog online, by searching on the session title or filtering on “instructor-led lab” and “cloud-native app dev” content. You can also learn more about the Cloud-Native App Dev track sessions in this article. In Part 4 of this series, we looked into details that determine how your integration becomes the key to transforming your omnichannel customer experience. It started with laying out the process of how I’ve approached the use case by researching successful customer portfolio solutions as the basis for a generic architectural blueprint. Now it’s time to cover more blueprint details. 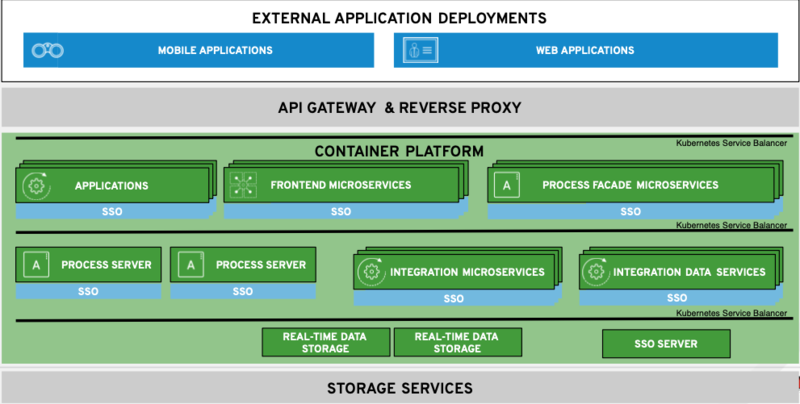 This article discusses the core elements in the blueprint (container platform and microservices) that are crucial to the generic architectural overview. In Part 3 of this series, we started diving into the details that determine how your integration becomes the key to transforming your customer experience. 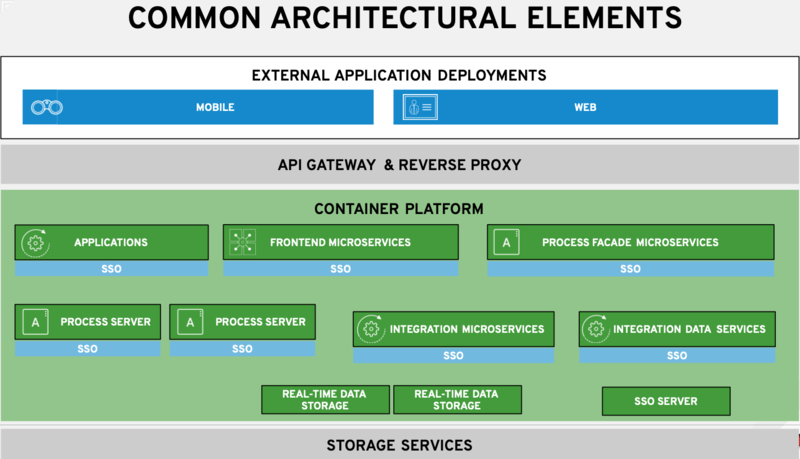 This article takes you deeper into specific elements (API management and reverse proxy) of the generic architectural overview. In Part 2 of this series, we took a high-level view of the common architectural elements that determine how your integration becomes the key to transforming your customer experience. I laid out how I’ve approached the use case and how I’ve used successful customer portfolio solutions as the basis for researching a generic architectural blueprint. The only thing left to cover was the order in which you’ll be led through the blueprint details. This article takes you deeper to cover details pertaining to the specific elements (mobile and web application deployments) of the generic architectural overview. 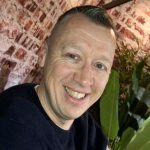 It’s been some time since I last talked with you about putting JBoss BPM Suite (now called Red Hat Process Automation Manager) into your cloud, and with the new release, it’s time to talk AppDev in the cloud again. 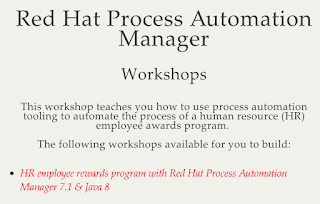 It’s time to update the story and see how to put Red Hat Process Automation Manager in your cloud so you are set up with a standard configuration to start your first business rules project. With the easy installation demo project described below, you can leverage process automation tooling through the business central web console running containerized on any Red Hat OpenShift. In Part 1 of this series, we explored a use case around integration being the key to transforming your customer experience. This article, which is Part 2 of the series, starts the real journey at the very top, with a generic architecture from which we’ll discuss the common architectural elements one by one.